The Centre for Jazz and Popular Music will present Songs of Love this Valentine’s Day, February 14 2018. The Centre celebrates the month of love with a concert by the Jazz singers from the UKZN School of Arts. Singers from the Jazz Studies programme including Wandithanda Makandula, Nduduzo Khuzwayo, Nombuso Ratsha, Nosihe Zulu, Nomfundo Cele, Sanele Khubisa, Andiswa Maduna, Nomthandazo Madiya and Siphelele Mthiyane. They will sing a selection of songs that remind us that what the world needs is a little more love. 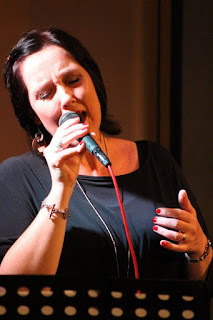 The concert will also feature well-loved Durban vocalist and Jazz voice lecturer Debbie Mari. Expect love songs, celebratory songs, jazz treatments of much-loved pop songs and a few South African favourites. The singers will be accompanied by instrumentalists Tazlo Jacobs, Sihle Mkhize and Obakeng Thamage (piano), Freeman Gumede (bass), Lesedi Tlholoe (drums), Moghethisi Nkotsi (trombone) and Sinalo Zulu (trumpet). Songs of Love at will take place at 18h00 on February 14, 2018, at The Centre for Jazz and Popular Music (CJPM), Level 2, Shepstone Building at UKZN Howard College Campus. General entry R80 (R50 pensioners and R25 students with a student card). Doors open at 17h30.